Editor’s Note – Following a post from Gary Wong’s post on Should We Do a Safety Audit or Do Safety Differently, Tim Austin commented in the Safety Differently LinkedIn group about the important role of psychological safety in making such a different auditing approach successful. So we asked Tim to share his thoughts on what psychological safety is and how to create it in an organization. Enjoy! A worker in a high pressure manufacturing plant notices something not quite right with a piece of machinery that hasn’t previously played up before. The fault means the worker has to place his hands within a no-go zone to ensure the machinery performs as normal. Momentarily, he thinks of letting his supervisor know about the issue. But just as quickly, he remembers the last time he raised a safety concern that resulted in a dismissive and derisory response. Three months later, a new operator replaces the worker. In his second hour on the job, the machinery, which is yet to be fixed, plays up again. In a split second decision, the worker places his hands in the no-go zone, but this time with devastating consequences. The subsequent investigation finds ‘operator error’ as the primary cause. However, management also find the machine was not operating properly at the time of the incident. But because the previous worker left some weeks prior, they are none the wiser of the machine’s faulty past. What the supervisor and management fail to realise is that they have contributed to an environment that makes in not only unsafe to work in, but unsafe to speak up. Although many workplaces suffer similar fates due to a ‘culture of blame’, the underlying message here is that authority is not receptive the reporting of safety concerns or errors. Management have failed to cultivate an environment that breeds trust that lowers the risk for workers to speak up. Edmondson (1999) calls this climate of reduced interpersonal risk, psychological safety. Psychological safety describes the collective belief of how team members and leaders respond when another member “puts themself on the line”, by asking a question, reporting an error, or raising a difficult issue (Edmondson, 1999). At a micro-decision point, a team member will engage in “tacit calculus”, by weighing up the risk of speaking up against the interpersonal climate versus the longer-term consequences of not speaking up. The above example highlights this dilemma. Does the worker risk the immediate consequences, where he risks derision or is made to feel overly negative? Or does keep quiet, knowing that if he worked in a certain way he would be ‘fine’, with the added advantage of the avoidance of appearing negative for raising the issue? While certain individual traits (such as introversion) may cause apprehension to put oneself out there, frequent silence in groups is typically the result of perceived heightened interpersonal risk to voice concerns, or, low psychological safety. Edmondson (1999) suggests team members will choose to remain quiet based four distinct fears: ignorance, incompetence, intrusive and the fear of negativity. If a team member believes speaking up will result in one of these consequences, the team member will remain silent. This effectively robs the organisation of important moments for innovation, improvement, experimentation and collective learning. In psychologically safe environments, people overcome anxiety and express their concerns, which in turn, facilitates progress towards collective goals (Schein, 1985). Thus, creating an environment where the perceived risk of speaking up is low is critical for organisations to learn, adapt and change. At an organisational level, the importance of psychological safety on workplace safety becomes obvious. The original purpose of Edmondson’s (1999) study on psychological safety was to investigate whether high performing medical teams made more or less mistakes than low performing medical teams. Contrary to the original hypothesis, Edmondson found that high performing medical teams reported more mistakes than their low performing counterparts. Drilling down through the data, Edmondson found these teams where characterised by high levels of psychological safety, meaning they were more willing to report errors to their superiors. The results are unsurprising. Yet, many teams struggle to admit mistakes and bring up challenging and often disconfirming information. While people loathe appearing ignorant, incompetent, intrusive and negative, the very nature of hierarchy within organisations makes it difficult to speak up. Typically, lower status members will feel less safe than higher status members in taking interpersonal risks and voicing concerns. Additionally, leaders who seek confirmation of their own ideas, unwittingly inhibit voice in lower status members of the group. Thus, the pervasive effects of status and power (particularly on subordinates) mixed with an individual’s inherent sense of self-preservation heighten the interpersonal risks of speaking up. Despite our predisposition for protecting our self-image and the constraints of traditional hierarchical structures, there are practical ways to raise the level of psychological safety in teams and organisations. Central to improvement is the role of the manager. Managers hold positions of authority and power, thus their influence on psychological safety is profound. Edmondson (2012) suggests four useful ways that leaders can increase psychological safety in teams and organisations. Accessibility. Managers who are accessible to their employees create a sense of safety and a belief that they are ‘in it together’. Being accessible increases approachability, information sharing, and ultimately collective learning. Invite participation by admitting fallibility. The idea of the perfect or complete manager or leader is a myth. Managers who readily admit mistakes and acknowledge they don’t have all the answers invite lower status members to speak up and contribute. Self-disclosure will increase team member participation, but this needs to be an active and repetitious pursuit if norms of participation are to be established. Soliciting feedback also signals that team member’s views are respected and expected. Frame failures as learning opportunities. The relationship between blame and failure is pervasive in most cultures, however when it comes to complex operations, blame often becomes a tenuous and somewhat pointless pursuit. Genuinely framing failures as learning opportunities removes the barrier and stigma of blame. Managers who adopt an inquiry acknowledge the information gaps, thus make it safe for others to speak up. Rewarding the early detection of failure by responding in a way that does not unearth the four distinct fears related to psychological safety will reinforce norms of openness and participation. Set boundaries and hold people accountable. Psychological safety is distinct from accountability, but the right mix of both promotes effective learning. Crucial to this is an understanding of the boundaries of acceptable behaviour and actions. Knowing the boundaries provides the freedom for team members to raise critical issues without fear of appearing ignorant, incompetent, intrusive or negative. ‘Just Culture’ is an excellent example of where psychological safety meets accountability. Providing a just culture framework facilitates voice while reducing the fear of arbitrary repercussions. The belief about how leaders respond when team members put themselves on the line is the very essence of psychological safety. Creating a supportive environment where team members have the freedom to raise concerns without fear of appearing ignorant, incompetent, intrusive or negative will enhance the flow of organisational information and learning. With communication between and within teams a critical issue for all organisations, improving the conditions that foster psychological safety will enable teams to learn, adapt and perform effectively. Edmondson, A. (2012). Teaming (1st ed.). San Francisco, CA: Jossey-Bass. Schein, E. (1985). Organizational culture and leadership (1st ed.). San Francisco: Jossey-Bass Publishers. Previous PostThe varieties of human workNext PostWhy focus on conditions? In a true culture of safety and reliability, anyone in the organization should be able to speak up about safety or operational efficiency to anyone else in the organization without fear of ridicule or reprisal. My understanding of psychological safety is much broader than this. Openness and trust is one aspect of psychological safety and you have addressed this well. I especially like your 4 responses eg. Invite participation by admitting fallibility. I think Geller did a good job in getting the subject started some time ago but it would be good to also understand psychological safety as much more than Edmonston’s angle. Edmondson’s work is very much grounded in Schein & Bennis’s (1965) work on organisational change and how organisations can make people feel secure to change, which they called psychological safety. Edmondson research was focused more on team climate, and the tacit beliefs around group norms, and in particular, speaking up. Not about safety, per se. I’m not aware of Gellar’s work on it, though i know he published a book called The Psychology of Safety Handbook. Edmondson’s construct is different to this. Imagine a culture where candor is safe, and we can evaluate the merit of a discussion without triggering a negative response from either party. Passion and exuberance should be allowed an tolerated, while still being in charge of your own emotions and not allowing other people or situations decide how you feel. Collaboration move forward faster, we think bigger, dream louder, and create more original thought….. This is a typical problem due to the entrenched mindset and culture that production drives profit and how we need to overcome anything that threatens that by any means. Consequences are usually the first casualty they are so easy to trade-off against efficienties. Until we can overcome out addiction of a narrow profit driven mindset towards productivity we will continue to struggle to provide a fix for conundrums such as these. Like many safety related problems, we have the remedy but refuse to relinquish our prized and sacred beliefs that are so entrenched in our psyche. So basically, management (or a particular manager/ment) is the factor/causality that results in failure…I am not sure this post is really about psychological safety..(although everything to do with humans is under this banner)…There are much deeper issues at play that are driving under-reporting and said culture. And was this ‘no go zone’ guarded?…if not, then clearly the fundamental practice of risk management has failed from the start. Tim, does a company need to address the fundamental economic relations of labour – employer/employee, units of labour, rates of pay and tolerance of risk – to achieve sustainable change in psychological safety, I wonder? Is there an economic model that already integrates psychological safety rather than having to retrofit trust, respect, accountabilities and accessibility? The post mentions that “blame often becomes a tenuous and somewhat pointless pursuit” and then says “Genuinely framing failures as learning opportunities removes the barrier and stigma of blame”…I cannot see how this is possible in most cases where clear acts of wilful violation have occurred. Take the incident example used…is this tragic event a learning opportunity or a clear act where accountability/blame is deserved? then ask..is it a pointless pursuit? Mark, most occurrences of accidents aren’t wilful violations from my understanding. The evidence is pretty clear – teams with high in PS are more effective, learn more, report more errors and are higher performing. I would encourage you to read the evidence. If you look at labour relations from a ‘job demand/resource’ perspective, it may have an effect organisationally. We know that high job demands can lead to poorer organisational outcomes, culture and employee psychological health. 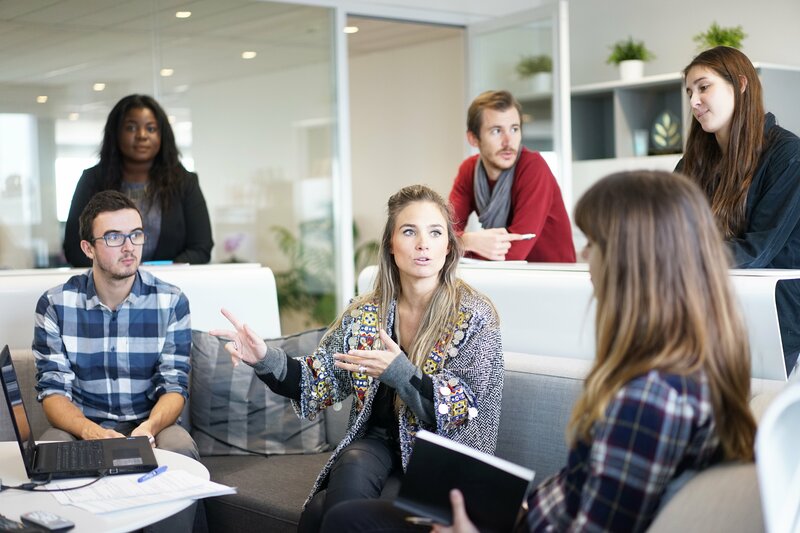 However, as a group or team construct, and we know groups can effectively have their own sub-culture, psychological safety is really determined by the shared beliefs employees have around taking interpersonal risks within that group. And their beliefs about the organisation may not necessarily be the same as their beliefs about their work group. In fact building psychological safety, if anything, should buffer the effects of organisational demands such as labour relations, rates or pay, etc, but without testing the theory it would be hard to say for certain. Tolerance of risk is probably more the tacit beliefs the organisation holds about what their appetite is to take risk, which would be informed by the type of industry they are in as well as the history of organisation itself. A great introduction into a very important topic. 1. People withhold information about work for three reasons – the don’t know, they don’t care or they are too frightened to say. All of these reasons for withholding information are concerned with the quality of relationships. This emphasises the importance relationships and the work that Rosa Carrillo and others are doing in the area of relationship based safety to impact psychological safety. 2. My understanding of Schein’s construct of building psychological safety is based upon managing two types of anxiety, which he called Anxiety 1 – the anxiety resulting from doing something new e.g. reporting an anomaly with the possibility of negative consequences and Anxiety 2 – the induced anxiety from not reporting and the anomaly ramifying. The solution he proposed was to provide a ‘process’. The analogy he used was teaching children to cross the road. In organisations we have many such processes to encourage reporting, but they will only be used if managers, through their actions, treat those processes as important. 3. Avoid the ‘last mile problem’ (Dr. Dominic Cooper). This happens when employees become cynical and apathetic towards an organisation’s commitment to safety when it espouses ‘safety as number one’ but it fails to deal with known risks and hazards in a timely way. This arises when an organisation has no systematic means of addressing those risks, does not convert its intentions into action due to time or cost pressures, or is unwilling to put effort and resources into resolving them. 4. Build trust through ‘respectful interactions’ – interactions between people at all levels of the organisation based on trust, honesty and mutual respect. This emphasises the importance of authentic leadership and its impact on building trust within the organisation. 5. Being ‘present’ -systematically. For leaders ‘from behind a desk is a very dangerous place to view the world’. Leaders at all levels must get out regularly into the workplace and interact authentically with those ‘communities of practice’ who possess important tacit knowledge about how ‘work is done’.In this way they can learn to ‘see’ the barriers to work performance and share that knowledge with others who need to know. Tim I would be very interested in hearing how you feel training has an impact on psychological safety. It is not mentioned, but in its very nature the lack of training increased the risk of injury and consequently has an impact on the psychological feeling of safety when reentering a role after an accident has occurred. Please forgive my skepticism here but it seems to me that what’s described above remains a long way off. I’ve been blessed in my life to have worked under some truly forward-thinking, open-minded leaders but have yet to stumble into or hear of any organization that demonstrates those characteristics from the top of the organization to the shop floor. In my experience, I’ve seen unwitting demonstrations or re-enactments of actions that led to Bandura’s Social Cognitive Model, Miller’s Cognitive Limitations, Asch’s studies on conformance, Milgram’s work on obedience, Zimbardo’s work on…the scary dark place that’s apparently not that deep within us and the impact of fear on decision-making in LeDoux’s descriptions of the emotional brain. I’ve also been blessed with having worked in a variety of locations and conditions around our world and witnessed the delicate balance between voicing concerns about anything and keeping the job that’s critical to their survival and likely that of their family. Lots of different motivations, egos and experiences to align in one consistent rowing action of performance. I’m in no way questioning that there’s a better way and I genuinely agree with the recommendations above. I’m hopeful that these discussions and practices will become mainstream but until the Wall Street’s of the world recognize the value and the shareholders establish these expectations to define success, I think we’re still looking well down the road. What am I missing and thanks to everyone for your thoughtful comments.